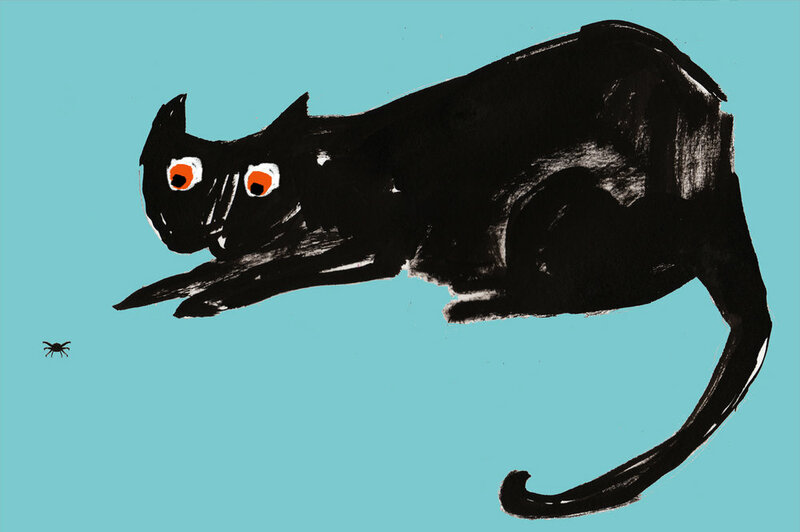 Holly Argyll is pleased to present ‘Life Beyond the Cat Flap’, a solo exhibition showcasing an array of colourful and quirky characters from her mischievous cats to her resident chickens. Alongside brand new designs, favourites such as ‘Red Eye Cat’ will be on show and Ernie, Holly’s cat, will feature once again - but, as usual, up to no good! 'Life Beyond the Cat Flap' will include a range of limited edition framed prints as well as original designs. 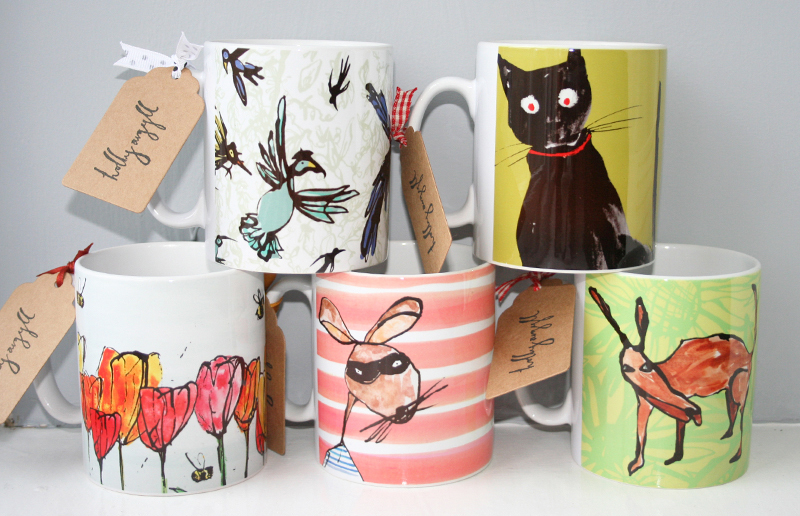 Gallery Forty-Nine is also a stockist of new Holly Argyll giftware such as mugs, coasters, greeting cards and more. Holly enjoys working with a range of mediums including ink and pipettes to create the thick painterly lines that make her illustrations so distinctive. She uses chalk, crayon and watercolour paints to add plenty of colour to her work, gaining inspiration from her beautiful surroundings in the Yorkshire countryside.